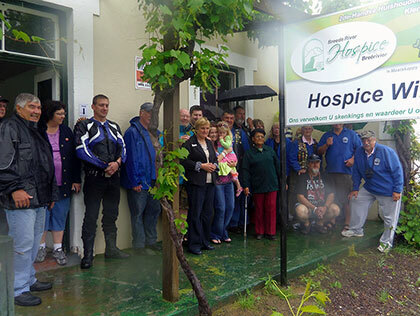 Despite the heavy rain on Saturday 26th October, the Cape Town Motor Cycle Club arrived with loads of donations for the Hospice Shop in Montagu. A chain of able bodied volunteers loaded an entire room full of gifts for the shop. The community will benefit from this generous offering - there are plenty of lovely items for people to purchase and the turnover will support our patients. Hospice Montagu is busy interviewing volunteers, with generosity like this we can feel the expansion and we do need more help.